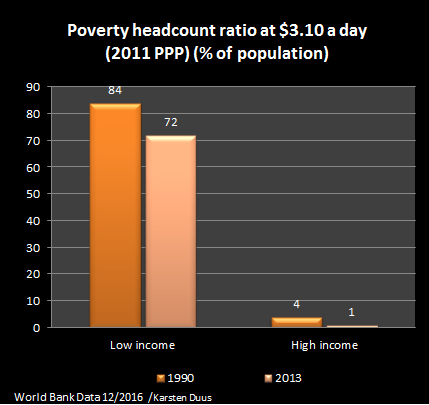 72 percent of the population in low income countries lives for 3.10 $ or less a day (2013). It is the price for a burger in United States. 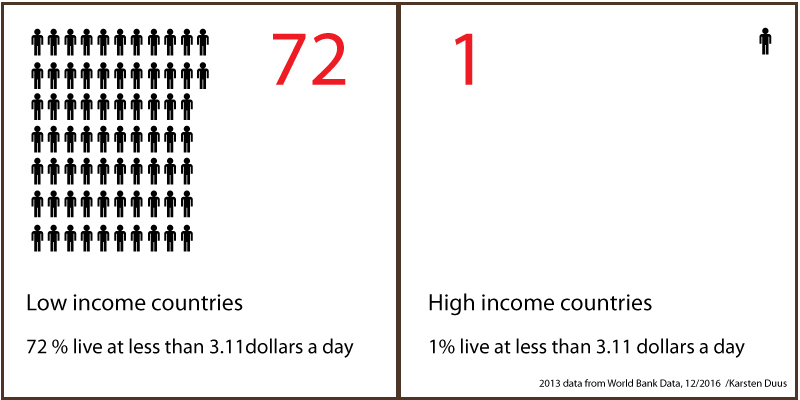 If we look at the percentage who lives for 1.90 $ a day, the number in low income countries is 18 percent (2013). 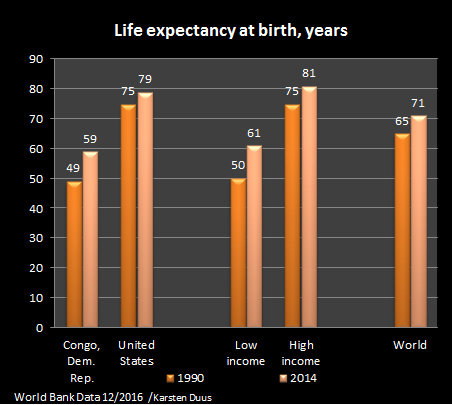 The gaps are narrowing but there is still a big difference in being 81 years old or only 59 years old as a average in the population. 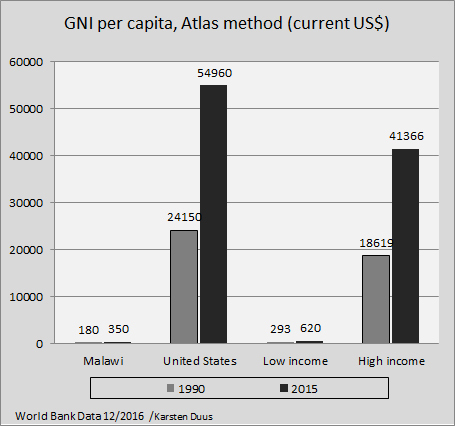 The decline in Swaziland primarily refers to AIDS – Swaziland is one of the most affected countries in the World.